Herman Chongwain shown competing at the University of Findlay last season. Watch Herman Chongwain open his season with a big win at the Tiffin University high school opener. 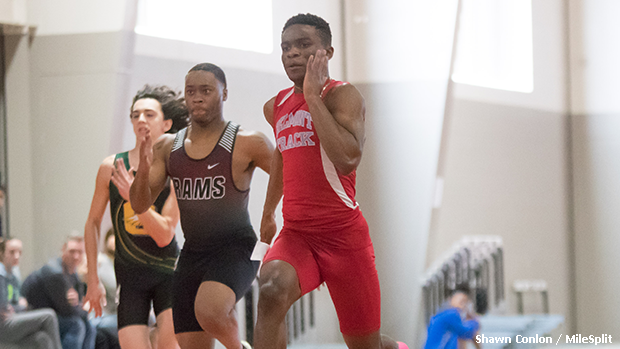 The senior, who attends Belmont, outpaced a deep 60m field that included Robby LeFevre, Zamir Youngblood and Rodney Heath. Chongwain posted a personal best time of 7.06. Justin Finney shown competing at the SPIRE Institute last season. 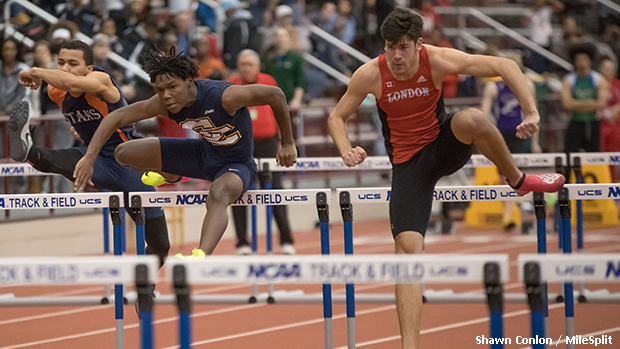 At the same meet, Justin Finney recorded an Ohio No. 2 time of 8.30 to earn the 60m hurdles triumph. This result represents a new pr for the Solon senior.